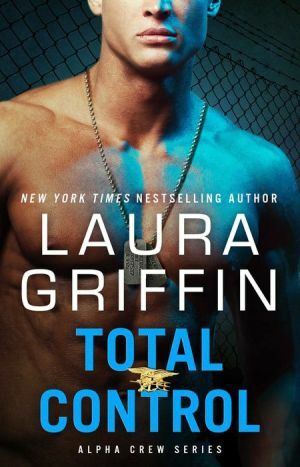 The New York Times bestselling author of Desperate Girls and Touch of Red returns to her sizzling Alpha Crew series with this fourth thriller filled with “scorching-hot chemistry” (Kirkus Reviews) featuring a Navy SEAL who meets his match in a fierce FBI agent as they work together to take down a dangerous terrorist. Navy SEAL Jake Heath has his eyes on Alexa Mays. The FBI Agent is whip smart and hot as hell, but she won’t give him the time of day. So, when she calls him out of blue, he thinks his luck has changed. But instead of meeting up for a romantic dinner, Alexa needs Jake for a very different reason. Her counterterrorism team is hot on the heels of the extremist that Jake’s task force has been tracking for months, and now he’s on American soil. The only way she can take him down is with Jake’s help. Alexa knows Jake is tough and relentless...and that the chemistry between them is electric. Although she’s risking her heart—and maybe even her career—by bringing him onto the mission, she doesn’t have another choice. Together, they’re an unstoppable and powerful team. As the hours tick by and a lethal enemy gets closer to launching an unimaginable attack, Alexa and Jake need to fight fire with fire before the clock runs out. The only question is: will their own flames get in the way?